School camps: a mixture of mucky fun and rollicking adventures, midnight tent giggles, the occasional injury, and a contingent of teachers in sneakers and cargo pants, with a lighter than usual countenance, who always seem to be drinking coffee. That might be the student’s view of camp, but what about the teachers? Let’s see… school camps: a mixture of logistical nightmares and uplifting natural vistas, bleary-eyed mornings after night-patrol. Homesick students, night-time exclusion bullying in the girls’ tents, locating lost torches and pyjamas… and coffee. Whether you have to send someone home early or not, the overall experience of students and staff is normally good. Connections are made and strengthened between students and teachers, and successful team-building promises an improvement to interpersonal relations for the rest of the year. Students gallantly row hours up-river against currents, endure character-building hikes with fit, youthful and charismatic group leaders, spouting information aplenty on flora and fauna for anyone not too exhausted and delirious to listen. Campfires, marshmallows, frogs in the shower. Bee stings, ant bites, and slightly singed hair. The traditional school camp formula will never age; it’s based in a scouting tradition, and a hearkening to the origins of humankind. The school camp may be our last rite of passage, as experts decry the loss of meaning in the passage from child to teen. Education extends and the beginning of independent adulthood creeps into the twenties, while once, fourteen-year-olds were Jackaroos, and life began at 16. School camps can offer a student a sense of meaning and purpose, they can provide practice in overcoming obstacles, develop endurance and broaden a student’s view of their own capabilities. Depending on the destination, a school trip can broaden a student’s life view and add new awareness and diversity to their view of the world. Whether it’s a humanitarian project, a couple of weeks in a foreign country, (desperately trying to remember the formal verb forms to address your host), or the physical challenge of cross-country skiing at a destination far from home: all these and more can give adolescents an experience of engaging in, and overcoming, a personal challenge. Finances are always an intrinsic element to the planning process of school camps. Some schools just have more access to funds than others, as do some families. Engaging in planning early and charging students with fundraising is as much of an empowering quest as the journey itself. The process of saving for a two-week trip to Japan gives students a sense of achievement, ownership and engagement in the trip. It also makes them appreciate it more. High school aged students used to contribute substantially to the family’s livelihood; in many cultures, they still do. Their energies, when channelled can be formidable, but what happens when this force has nowhere to run? Steve Biddulph tells us: “Where there’s a gang of boys, the men in that community aren’t doing their job – 17-year-olds can’t lead boys anywhere, except into trouble”. No doubt, the same applies to girls leading each other astray. 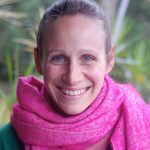 In various interviews, including this one, and his own TED Talk, adolescence expert, Dr Arne Rubenstein identified the period between 14 and 18 years as “a critical time” of development. He says it’s when new behaviours should emerge, and ‘ego-centricism’ should be replaced by community awareness. This transition is recognised, and marked with an initiation ceremony in all Indigenous cultures, but not in ours. His view is: because we are not creating initiation ceremonies for our teenagers, they are doing it themselves. A lot of the risk-taking behaviour we see, such as reckless driving, drugs, alcohol abuse; Dr Rubenstein says these are examples of self-initiating. 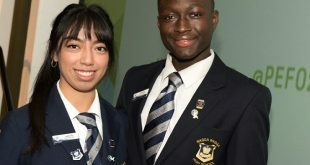 Casting back to ABC’s 2016 screening of Revolution School, for those who missed it, a documentary followed a year in the life of Kambrya College, a turnaround school in Melbourne. A special feature of the program was the Darrabi boys. Boys, who would otherwise have been excluded from school, were enrolled in a separate class, where they received intense support, mentoring and remedial tutelage. In one episode, the boys were drifting from their objectives, and the program leaders were concerned. What did they do? They took them out bush of course. In the lead up, the boys complained about the rustic conditions ahead, but when they almost lost the privilege a week before the planned trip, the dismay in the room was palpable. These boys wanted this, perhaps sensing it would be as transformative as it proved to be. They returned ‘new men’ and one of them went on to stand for election for a student representative position. He won. Whether the school trip is an outback endurance adventure or a trip interstate or overseas, an element of challenge will be present for students. Some students have never spent more than a night away from their parents, and the ability to self-manage is still developing in many students. Tasks as simple as keeping track of their own items, sorting out their washing, or budgeting their spending money, can be new territory and almost as educational as tour content itself. While the content of a school camp will vary, the learning is real and intensive, and students are challenged while outside their comfort zone. When students return from such an adventure, they seem just a little bit older; they walk just a little bit taller, and memories are made. These are memories that last a lifetime. The Fremantle Prison YHA is perfect for a group of thirsty – and occasionally criminal – young minds. Based in the original women’s wing of the Fremantle Prison, several dorms are (surprisingly spacious and comfortable) converted prison cells. Many feature an interconnecting ‘teacher’s room’, offering privacy without compromising on supervision. For social or ‘class’ times, YHA’s conference room offers AV equipment and ample seating. YHA Fremantle manager Sean Stahlhut says students will enjoy volleyball and table tennis on the lawn in the ‘exercise yard’. YHA has placed historical storyboards around the hostel to peak the students’ excitement. “Some of the more infamous prisoners are featured and students are fascinated, and teachers love that students immerse themselves in a true historical situation,” he noted. 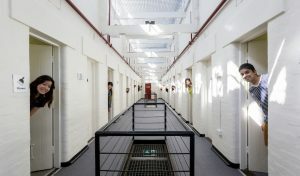 When inmates stage a jailbreak, the Fremantle CBD, Oval, Museums and Markets, and guided tours of Fremantle Prison are just outside the prison gates. Mr Stahlhut recommends early booking, as the unique property has become popular with school groups, – but said, “last-minute bookings can often be accommodated”. New Zealand ski adventures: students on the Go! Go Orange! is a specialist travel company catering for visitors to the breathtakingly beautiful district of Otago in New Zealand’s South Island. The company, formerly known as Kiwi Discovery, works closely with school groups from both New Zealand and Australia, and caters to parties numbering as few as eight or up into the hundreds. During the winter, skiing is the most popular choice of activity for visitors, and Go Orange! arranges packages including accommodation, transport, rental, clothing and lift passes. As outdoor adventure specialists, they also arrange for white water rafting, cycling, walking, kayaking, and cruises of Milford and Doubtful Sounds. They can also provide transport for school groups to travel to dinners and other events. will also arrange charters to and from dinners and events. Groups of 20 or more are provided with a tour leader free of charge, and the full ski package includes access to a choice of four ski fields: Cardrona, The Remarkables, Coronet Peak and Treble Cone. 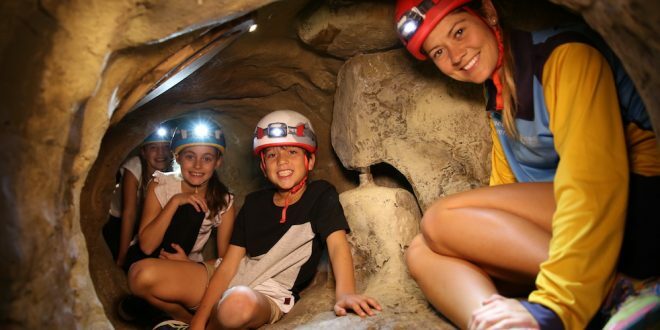 The Queensland Recreation Centres now offer four new themed programs as part of their all-inclusive Adventure Camp. There’s Be Strong, which develops resilience and coping skills; Unite, which focuses on team building; Stand up, which develops leadership skills; and Get Activated, with an emphasis on health and well-being. Each of the programs develops skills through a fun, challenging, and engaging experiential learning process, using activities such as rock climbing, abseiling, surfing, raft building, and even caving! The programs have been designed in consultation with experienced teachers to align with the Australian Curriculum. A suite of teacher and student resources are also available for Year Bands 5/6 and 7/8, which include pre, during and post camp activities. 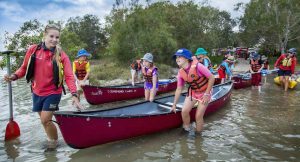 With two incredible locations, on the Gold Coast at Tallebudgera Beach and Sunshine Coast at Currimundi Beach, the Queensland Recreation Centres are an ideal choice for your next school camp experience.